Selected undersea features from the dataset described in this report. 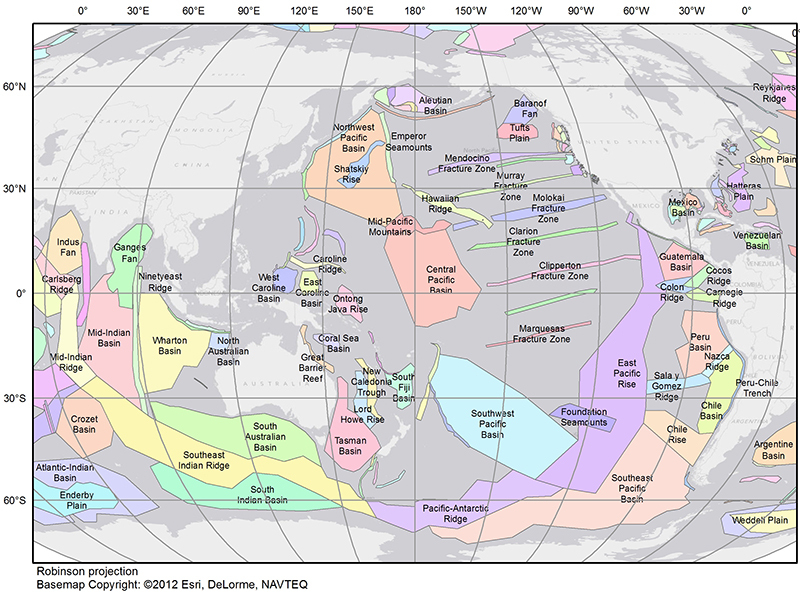 Hartwell, S.R., Wingfield, D.K., Allwardt, A.O., Lightsom, F.L., and Wong, F.L., 2018, Polygons of global undersea features for geographic searches (ver. 1.1, June 2018): U.S. Geological Survey Open-File Report 2014–1040, https://doi.org/10.3133/ofr20141040. secured from the copyright owner.